Adorne's hide & suede camera bag will lend a sophisticated cool to your look. 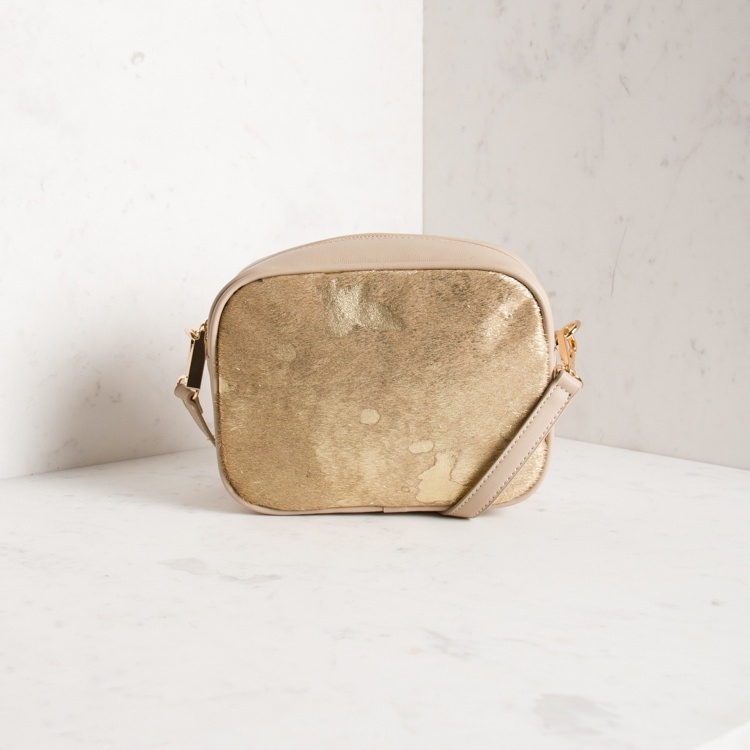 Featuring gold painted hide & an adjustable strap, this bag oozes cool. Vegan Leather, Painted Hide, Plated Metal, Lining. Adjustable Strap. H:16cm L:21.5cm W:7.5cm, Zip Top Closure.